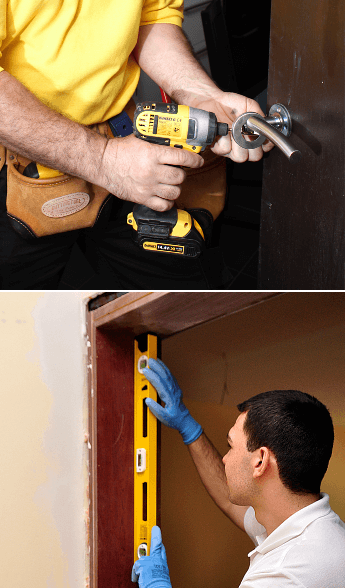 Why hire a professional for expert door lock fitting London? Your interior door handle or door chain requires too much muscle to unlatch... or none at all. Mounting of hinge protector bolts, toggle bolts, and door restrictors. Q: Should I attempt to fit interior door locks or other door furniture on my own? A: While it's not a crime to indulge in a DYI fitting a yale lock project, an incorrectly placed lock may make a potential burglar's job that much easier. Self-fitted door handles, hinges, or bolts can also cause trouble – you could either end up with an immovable door or one that is opened by the slightest gust of wind. Q: How much do you charge for each door handle fitting service? A: Your individual price will be calculated based on the type of door furniture that you have chosen. Keep in mind that the final amount will also depend on the length of your appointment. Q: Do your services come with a guarantee? 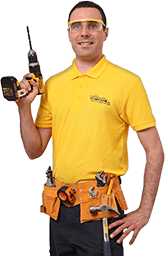 A: Whether it's fitting internal door handles or a mortice lock to a door, we will always provide you with a complete guarantee for each part that the competent experts replace on your front door. All pros will also work with attention to detail to deliver the desired results and will dispose of any leftover debris for you. Q: Will you be able to fix my door outside of business hours? A: Absolutely! You can hire the London team for any given weekend or bank holiday. You can also have the team arrive at a time of your preference to keep your daily routine completely undisturbed.